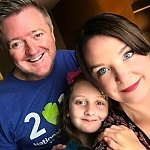 This post is sponsored by Babbleboxx. My wife complains every year about how hard I am to shop for. And I admit it. She asks what I’d like, and I say the same thing every time. I tell my wife, “I don’t need anything.” And while I do feel that way…. it’s not all together true. I do need some things. Most guys do. But how do you shop for men, and straddle that perfect line between what we need, and what we want? This gift guide will help! These are NOT just wireless headphones. It’s the next generation of wireless headphones. Using bone conduction technology this is the lightest and most organically designed open ear headphones to date. They fit more securely and sound better too. And because they don’t go into your ear, you can still hear ambient sounds around you, making these perfect for the man who is a jogger or biker in your life! Beyond sports, I often listen to podcasts and audiobooks in the car, and have avoided using traditional in-ear headphones as they block too much ambient sound. It’s important you hear emergency vehicles, etc. These let me listen in stereo, but my ears are still free for me to stay alert and safe. Use the included earplugs when you want sound isolation (at the office or on a plane), which also dramatically enhances the bass. they’ll be offering a discount on Trekz Air, PLUS a BOGO offer (buy one, gift one). 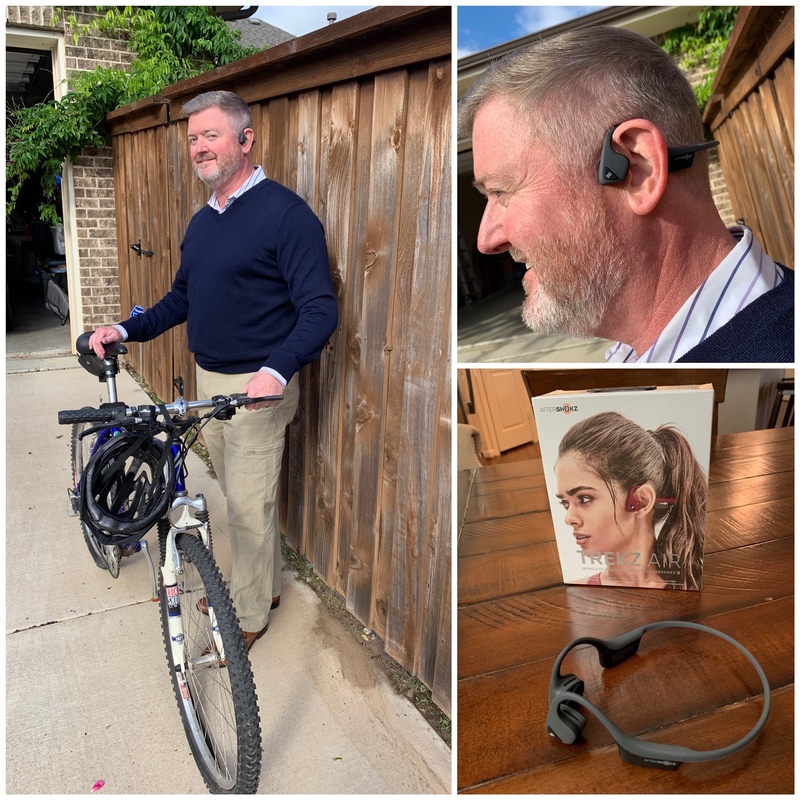 Trekz Air placed through aftershokz.com from November 23 to November 26, you’ll also receive one free unboxed Trekz Titanium Slate Gray (while supplies last) to gift! Fashionable men’s glasses. Yes! Mens eyewear can be a fashion statement! And Prescription glasses and sunglasses can add to a mans look rather than detract from it! Ready to revolutionize the way you buy glasses? 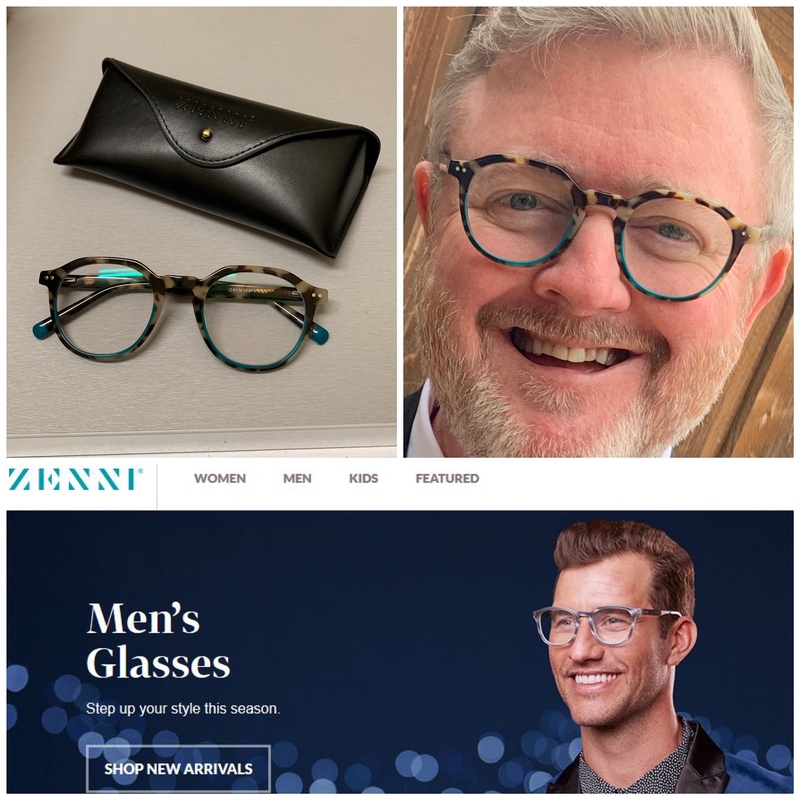 At Zenni, they believe everyone should have access to high-quality, affordable eyewear. And with prices starting at $6.95 for single-vision prescription glasses, they fit any holiday budget. 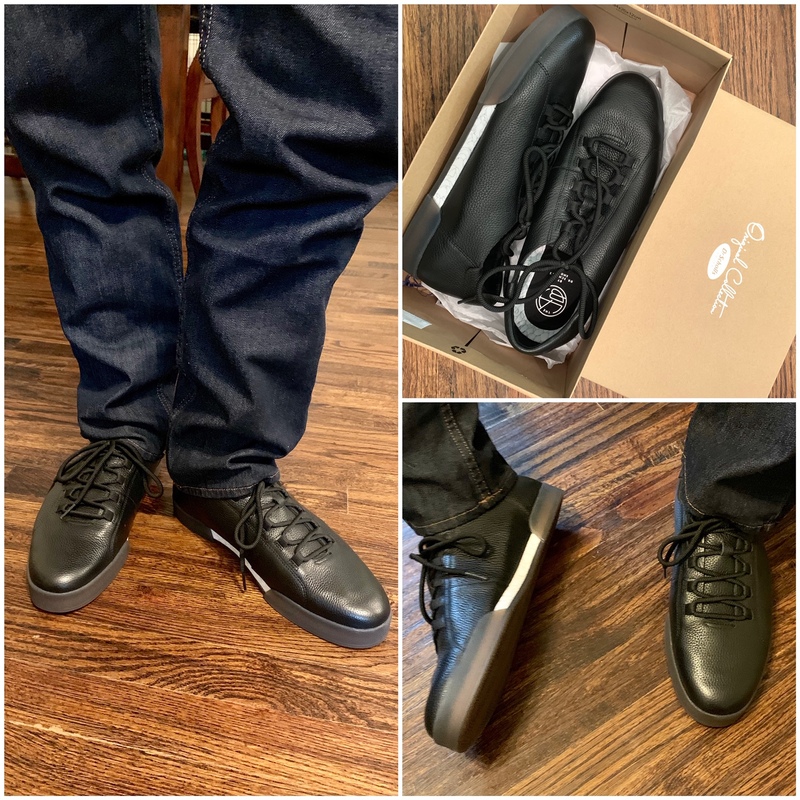 I’ve been buying stylish (but affordable… why pay more?) from Zenni for years. My wife will tell you I alternate glasses on a daily basis. At their prices, why not? Don’t know your guy’s prescription? What about getting him Blokz blue blockers, like I’m wearing above? These blue-light blocking lenses that are designed for all-day wear and protection from blue light. Is he a heavy computer user? Does he use his phone all the time? He needs these! Blokz can be worn like regular glasses to protect your eyes from harmful blue light emitted from any digital device, as well as artificial fluorescent and LED light exposure! I also find them really helpful before bedtime where the blue light from your devices can keep you up. I wear a tie to work everyday. 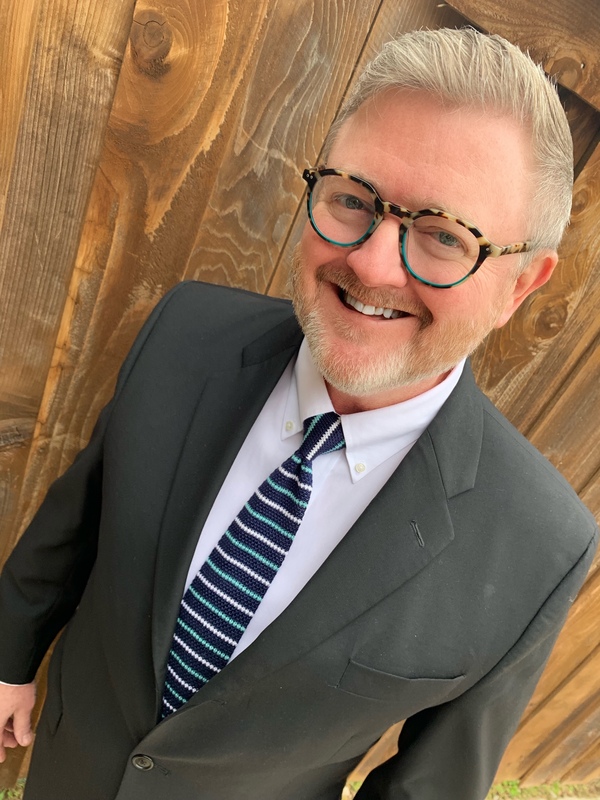 So tie quality matters to me. Tie.com helps you find high-quality, wallet-friendly menswear. 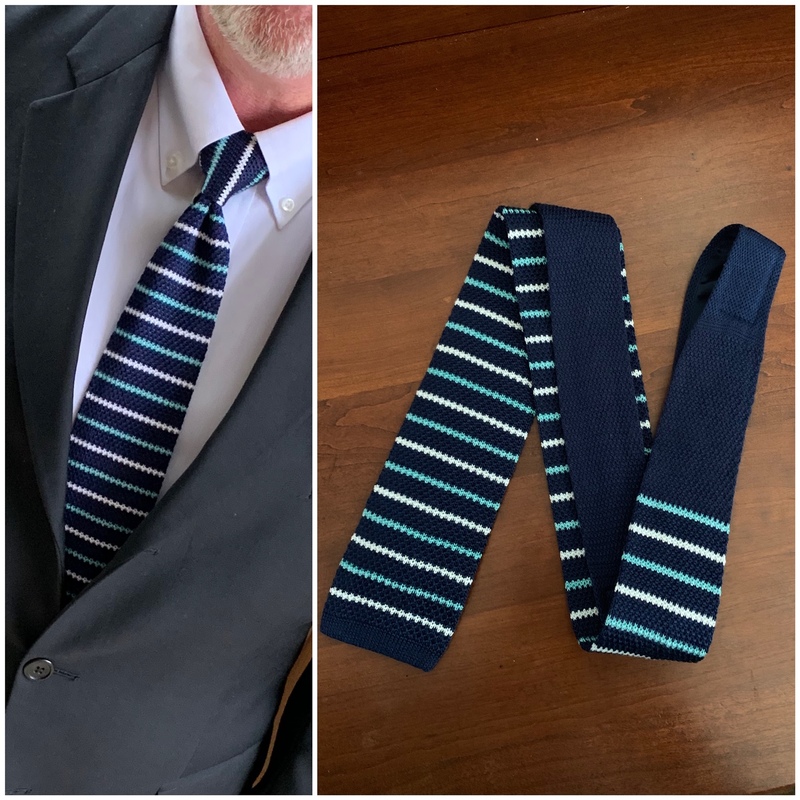 I love their fashion forward styles like this Navy Blue Swiss Stripe — knit tie. Also -be sure to use coupon code TIESXBB to get 15% off your order if you shop before December 31, 2018. That code makes this budget friendly option even better! It feels great going on, and draws out impurities from your pores. Men these days want to look good and take care of their skin – but often we don’t know how to go about it. 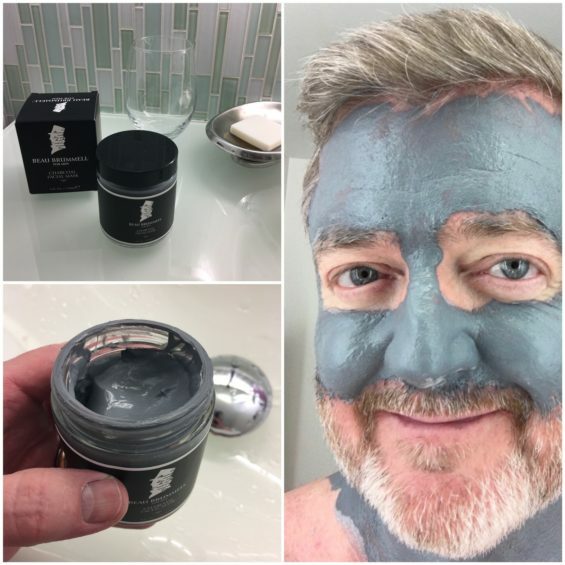 This mens face mask uses Kaolin-rich clay and activated charcoal that softens with natural conditioning botanicals. My face feels refreshed and has a more vibrant complexion when I use it. Did you know that activated charcoal is able to absorb 100x its weight in oil and toxins? It can! The only down side of the Beau Brummell Charcoal Facial Mask, is that my wife likes to try and steal it! Psst! You can even save 15% off your next order with coupon code: BEAU15BRUMMELL . Just be sure to make your purchase before January 31, 2019 to save! Mens Footwear on trend! These days I’m wearing the ‘NIKOLA’ Sneaker from Dr. Scholl’s. I’m enjoying their refined style, that seems to go with anything. I can dress them up or down. And they have the latest in comfort innovation. Taking inspiration from athletics and modern street style, this comfort sneaker features premium materials. I particularly like the deconstructed raw-edge leather upper and the inclusion of the anti-microbial sock. I sweat pretty hard, and can use all the microbe protection I can get! I’ve been using Dr. Scholl’s products for decades, and these are the kind of comfort and quality you’d expect from this brand. And right now, you can get Free Shipping PLUS 20% off your order when you use the exclusive promo code: Babblebox20FS! *Exclusions apply. May not be combined with other offers. Not valid on previous purchases. Free ground shipping applied automatically during checkout and is not valid in Alaska or Hawaii. Promo code and free shipping expires 11:59 p.m. CT November 30, 2018. Shopping for men is a hard job. And I admit we don’t tend to make it easy. But suggestions like these will hopefully make the task a little easier, and help you put a smile on any guys face! Wishing you and yours a very safe and Happy Holiday Season! Happy Shopping! This post is sponsored by Babbleboxx. All opinions are mine alone.